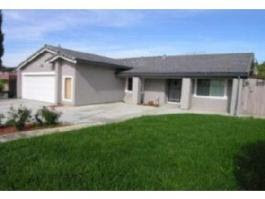 We are now tracking a bank owned REO home in the Evergreen area of San Jose, listed for $669,500. This is a great home and in a nice neighborhood, 4 bedrooms, 2 baths, separate family room with fireplace, living room/dining room combo, possible RV access, and also a storage shed. This lot is about 7,840 sq ft in size and 1824 sq ft home. It is priced to sell quickly, if you have additional questions or would like a tour please contact me and I would be happy to help.